Born in Albuquerque, New Mexico, Anne began studying oil painting at an early age with artist/educator Edwin Connelly in Newport, Rhode Island. She received a Bachelor of Arts degree from Mary Washington College in Fredericksburg, Virginia. While at MWC, Anne pursued independent studies in painting with noted colorist Julien Binford and was awarded the Emil R. Schnellock Award for the most promising painter in her class. Anne currently lives in Frederick County, Maryland where she has been a long time contributor to the community. She opened a fine art gallery in downtown Frederick in 1971, the first of its kind in the area. Anne was chosen “Business Woman of the Year” by the Chamber of Commerce in 1987 and continues to run Catepetl Art & Frame today. In 2005 she received the Meredith Springer Award given by The Delaplaine Visual Arts and Education Center in recognition of accomplishments in the field of art as well as leadership in the Frederick Arts Community. ‘Plein air’ events are a special interest of Anne’s. 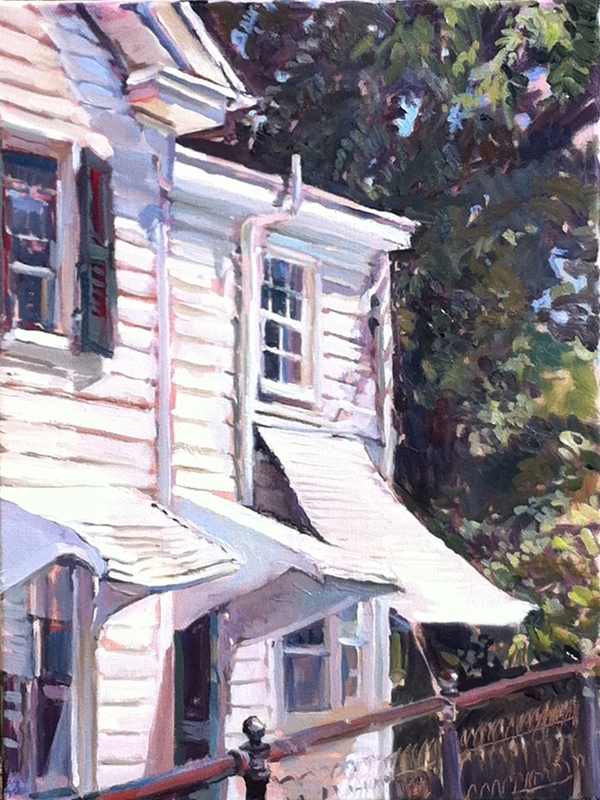 She has been selected three times for the juried “Paint Annapolis,” where she won first place in the “Quick Draw” in 2011. She founded and co-chaired the first “Easels in Frederick,” also a juried event, in which she won first prize in the 2012 “Quick Draw.” And she has introduced ‘plein air’ painting as an aspect of several community fund raising events, including the Frederick County Landmarks Foundation “Barnstormers Tour,” in which she continues to participate as a contributing artist. Anne is represented by the Greenleaf Gallery in Duck, North Carolina. She paints landscapes, still life, figure and water views from her home, while traveling, and while visiting friends. “After many years of refining my portable painting kit, now I can paint wherever and whenever I see the colors that take my breath away.” Her work in progress can be seen at www.annegibsonsnyder.com.